Registration for Webinar is Free and Now Open for this online webinar. Interested parties are encouraged to register to receive slides and recorded webinar. SAN FRANCISCO - June 18, 2018 - PRLog -- AgiLeanIT, a NAI company, with a proven track record of successfully serving our clients in IT Management Consulting and ITSM Solution Delivery will be holding an online free, webinar, Friday, June 22nd. 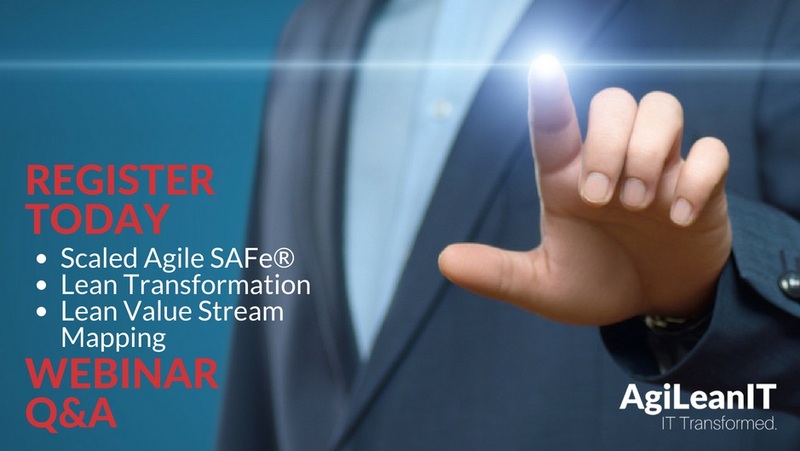 The webinar will review how digital teams can effectively and successfully implement Lean and Agile IT and Application Development Transformation, by incorporating the right teams for these transformation strategies. Interested parties are encouraged to sign up for this topical webinar being held on June 22nd, at 8:30-9:45 am PST / 11:30-12:45 pm EST online. The recorded webinar along with the slides will be available to all who register, even if they are not able to attend. Hamid Nouri – Mr. Nouri is a senior Lean and Agile Transformation Coach and Scaled Agile SPC (SAFe® Program Consultant), an ITIL/ITSM Master, ISO 20,000 Consultant, CISSP, and a highly accomplished Enterprise, Business, and Technical Architect. Dan Madison – He is the author of highly successful and frequently cited book "Process Mapping, Process Improvement and Process Management", one of the highest ranked books on Amazon on the topic. Prakash Bettadapur – Mr. Bettadapur is a Certified SPC (SAFe® Program Consultant) and Enterprise Agile Coach, Certified Scrum Master (CSM), Certified Product Owner (CSPO) and Certified Scrum Professional (CSP). AgiLeanIT is a division of Nouri Associates, Inc. (NAI) an international Information Technology Management Consulting, training, benchmarking and solutions firm founded in 2001. We have a proven track record of successfully serving our clients in IT Management Consulting and ITSM Solution Delivery. We have extensive (20+ years) experience in developing software using Agile methodologies and are able to rapidly form consulting teams with the right skills and expertise to meet the unique needs of each engagement. Our team has successfully used Agile Scrum, Lean Kanban and Scaled Agile Framework in tens of multi-year large programs and delivered successfully. Some of the programs we have executed have demonstrated over 10X productivity improvement by using these Agile techniques. Find out more about us by contacting us on our website or our social media channels. Visit www.AgiLeanIT.com for more information.